Why oh why don’t we have these in Canada? I double dog dare somebody in Niagara or PEC to make these. This is a “two hours on the tarmac” story. Recently my family and I boarded the plane in Madrid and were kept on the ground for over 2 hours before takeoff. The reason? While loading the luggage somebody noticed that a screw was missing on a panel. Long story short, a man in Montreal [Air Canada office] took 2 hours to give permission for an EU maintenance man to put in a screw. I have several thoughts on this – mostly because I had two hours staring at the loading dock next to me. 1. Why the heck can’t I get a glass of wine while all this is going on? 3. There’s no way that was the only screw missing and the chance that screw was a safety hazard? Come on. 4. I asked my kids how many screws they thought were in a plane like this. “One less than there should have been” was their reply. Kids don’t care. They just sit there and watch Spiderman. Twice! Now if by “screw” they meant “engine number 2” then my apologies Air Canada. 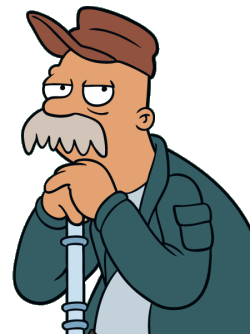 Scruffy Scruffington, where were you when I needed you? There really is no effective way to come to terms with the end of a vacation. The most one can hope for is to prolong it a little with some photos, conversations, or memories. I think we all feel this way. Recently a columnist in the Guelph Mercury wrote about holding onto his vacation beard for at least a week after vacation. But I didn’t grow a vacation beard – it would have been far too scratchy for my wife’s comfort and far to grey for my own. But what about a taste memory. I’ve read that taste and smell are the strongest memories. 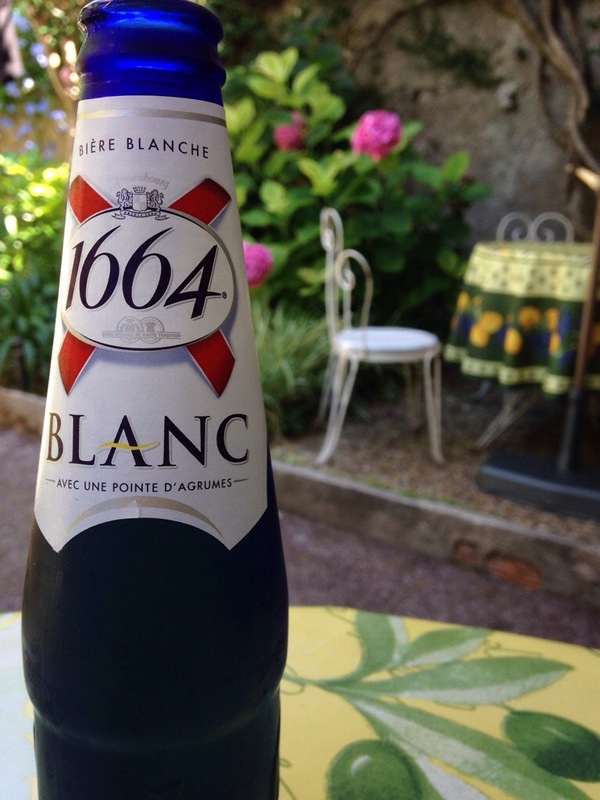 Earlier in the summer I posted this photo of me enjoying a bière in my jardin in France. 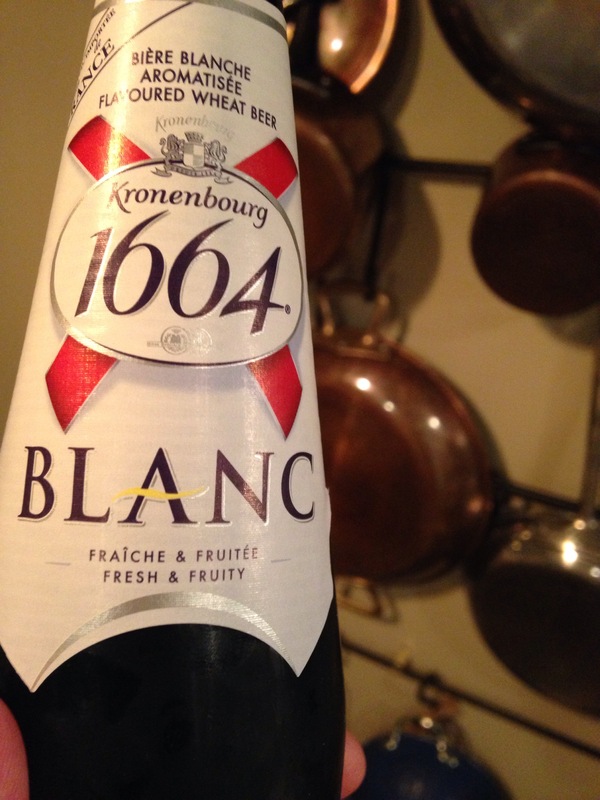 Yesterday I found 1664 Blanc here in Canada, bought one, and then opened it up in my own kitchen [in front of my French copper pots just to add some je ne sais quoi – or terroir as the French have it]. That should help prolong my vacation. Wherever you are there you will be. 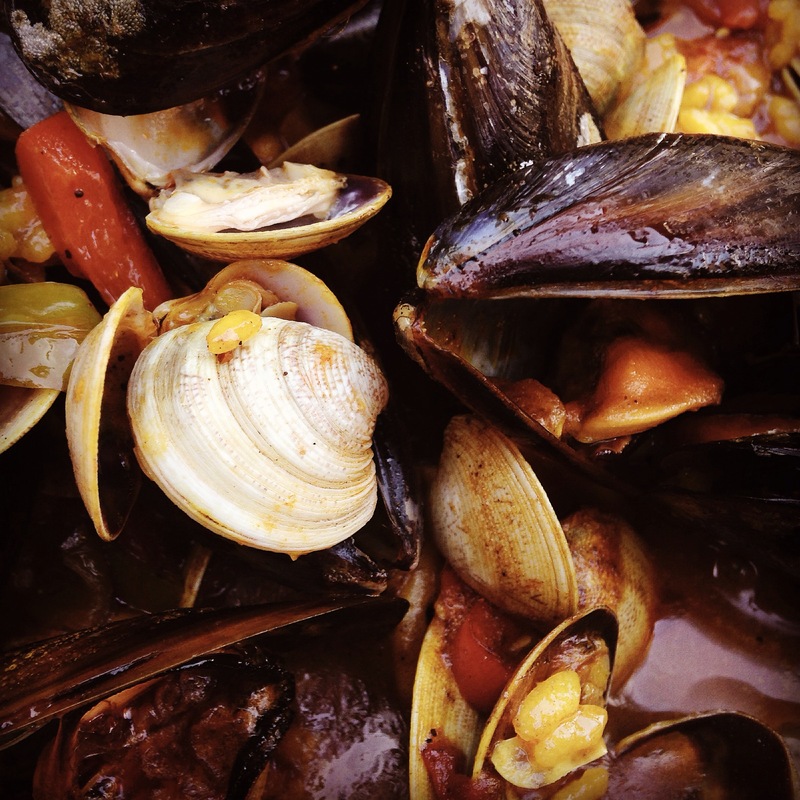 So if you be there then you should eat whatever is local. 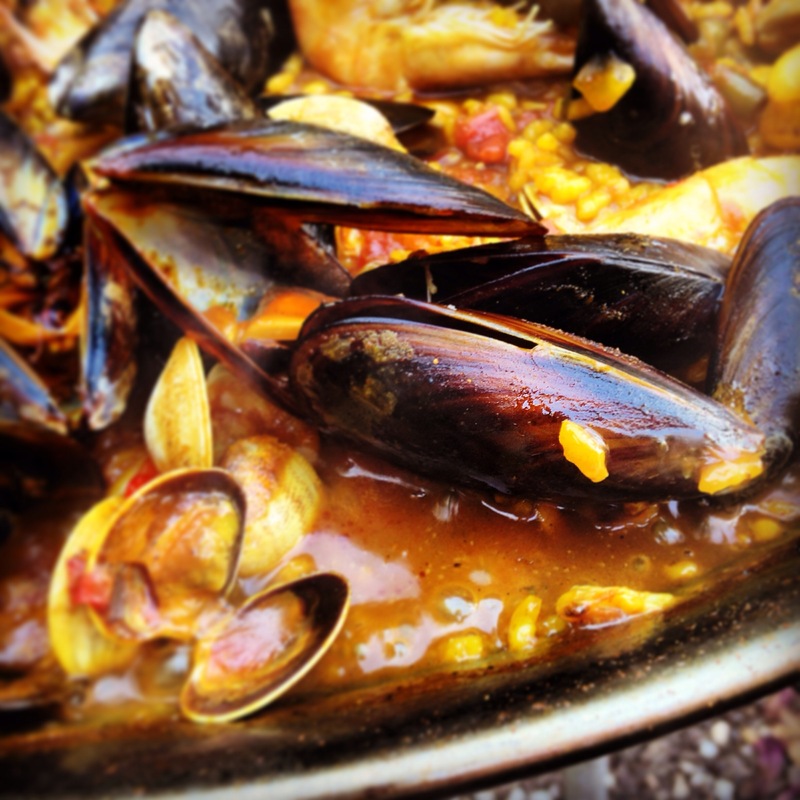 When in the Costa del Sol in Spain nothing is more local than seafood paella with a chilled Rioja. 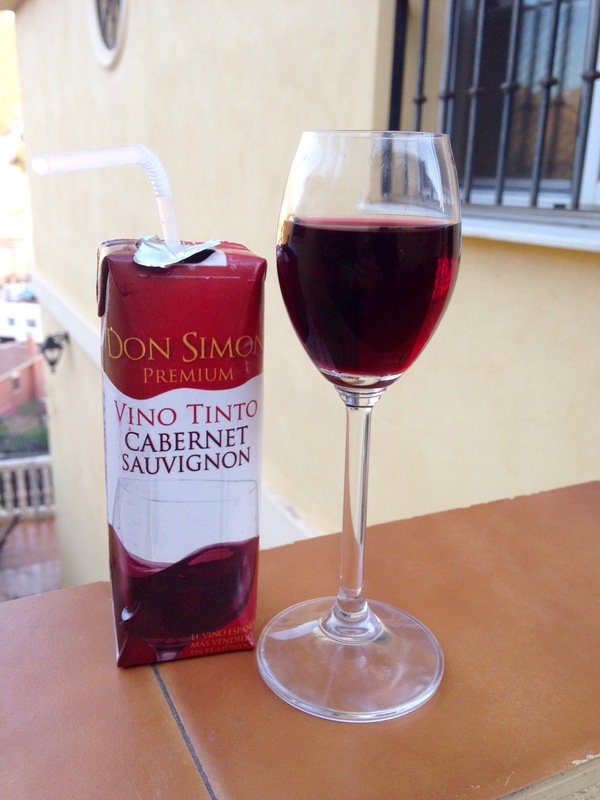 If you’re not chilling your red wine in the summer then you need to start. 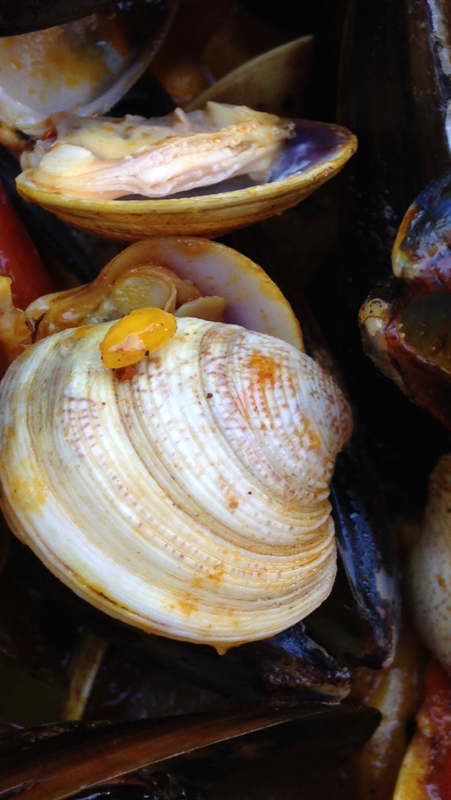 These be some photos of the paella I made Saturday night with tiny clams, Galatia mussels, calamari, and shrimp. If there is one thing that I could import from Europe if would be the café culture. If you can believe it, what’s happening in this photo is illegal in my country. Why is it illegal – because it’s 8:45 am and I’m the only one drinking coffee. 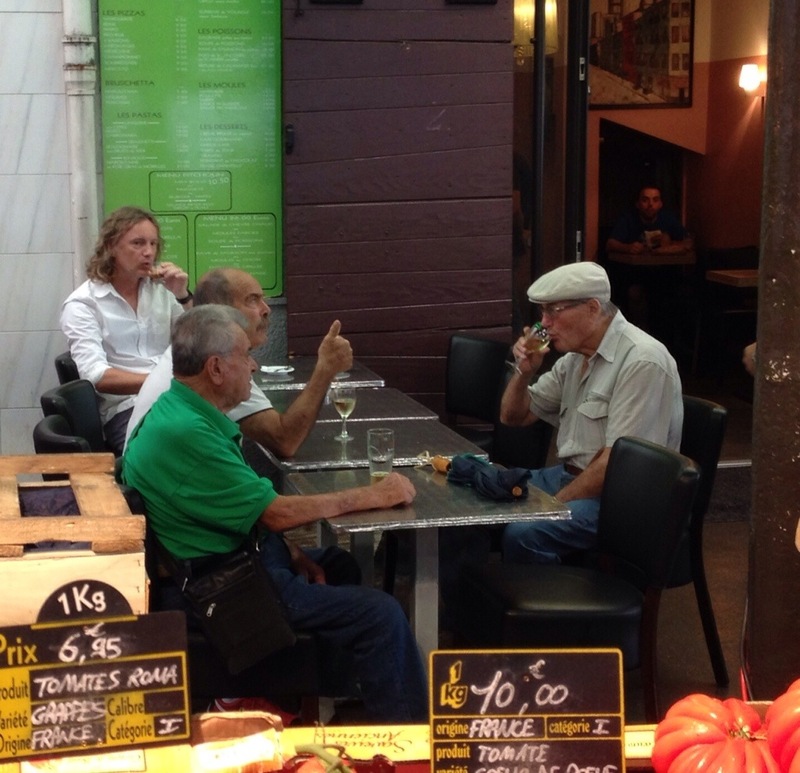 And before you judge, none of these men are getting “loaded”, they are meeting in a café for a small glass of wine and a beer. Yes, a morning verre de vin blanc et une petite pression of Heinekin. They were also hilarious [at least my limited French vocab thought they were]. In fact, I think the reason that I’m sitting alone at this table is because I’m the only guy drinking coffee. Although as my friend Rob notes, one of the men may be giving a “thumbs u to the Canadian for drinking coffee this late in the day”. I asked brother-in-spain why we didn’t have places in North America that served half pints and small glasses of wine for 2euro – and he pointed out that if there was a place serving $2 beer then we probably wouldn’t want to sit there because it would be full of people trying to get “loaded” for cheap. I’m not saying I need a beer or a glass of wine in the morning [I actually don’t need or want one] but it’s clear that there is a big cultural gap – café cultural. 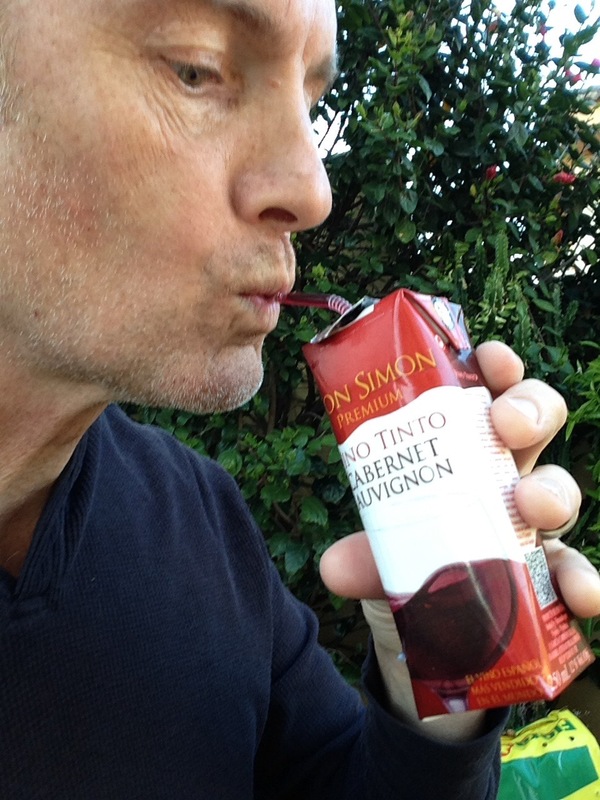 It appears that the real estate axiom “location, location, location” applies to the world of beverages. Normally I would never be interested in a white beer with lemon. However, package that up as bierre blanc avec une pointe d’agrumes – serve it to me in a jardin on the French Riviera and suddenly it’s ma boisson préférée dans le monde. Also I am on vacation – that helps. 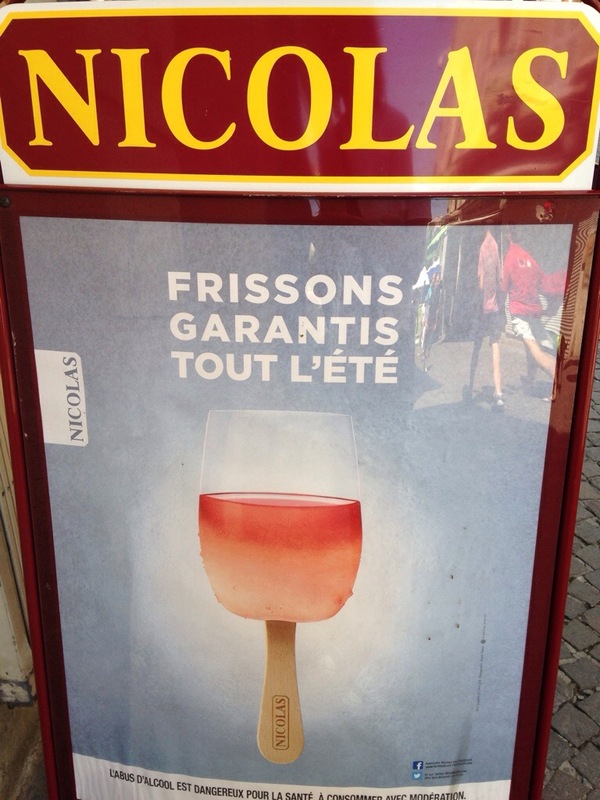 Drinking rosé this summer? We do in France.